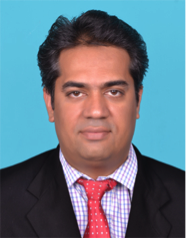 Dr. Sushanta Kumar Panigrahi received his PhD from Indian Institute of Technology Roorkee in 2009. He worked as Post Doctoral Research Fellow at Centre for Friction Stir Processing, Missouri University of Science & Technology, Missouri , USA from 2009 to 2012 before joining IIT Madras. He was also a Visiting Professor at Ecole Centrale Nantes, France during May-June 2016. His research interest includes: (i) Development/Manufacturing of advanced materials; their fundamental science and manufacturability (Bulk ultrafine/nano grained materials, Metal matrix/Nano composites, In-situ composites, Ultrafine grained in-situ/ex-situ composites, High strength light weight Al, Mg and Ti based metallic materials, Materials as per design etc., Structure-Property-Manufacturability (Machining/Forming/Joining) correlation of such developed materials) ; (ii) Materials Processing (MP) for property enhancement (MP based on Severe plastic deformation, Thermomechanical treatment, Friction, Heat treatment, Microwave processing etc. ; Microstructure-Texture-Processing correlation); (iii) Advanced Metal Forming (Bulk and sheet metal forming, Severe plastic deformation, Microforming, Incremental forming and Superplastic forming, Microstructure-Crystallography texture – Property- Formability correlation); (iv) Plasticity and deformation behavior of materials (Deformation behavior under Quasistatic, Dynamic and Cyclic testing domain at sub-zero to high temperature range, Processing map development) and (v) Solid state processing and joining of similar/dissimilar materials (Friction stir processing/welding, Roll bonding etc.). A publication (G.R. Argade, S.K. Panigrahi, R.S. Mishra Corrosion Science, Elsevier Publ., 58 (2012) 145-151) appeared as Top 25 most cited papers published in Corrosion Science (Elsevier publication, Science Direct) for 5 years ( 2012 to 2017). S. Behera, A. A.Dhal, S. K. Panigrahi, International Journal of Plasticity (Elsevier) 97 (2017) 159-177 (Impact Factor: 5.7). R. J. Immanuel, S. K. Panigrahi, G. Racineux, S. Marya , Materials Science and Engineering A, (Elsevier) 701 (2017) 226-236 (Impact factor: 3.1). Sandeep Kumar Singh, R. J. Immanuel, S. K. Panigrahi, Journal of Material Processing and Technology (Elsevier), 236: 252- 262 (2016)(Impact factor:3.2). B.N. Sahoo, S.K. Panigrahi, Materials & Design (Elsevier), 109: 200- 213 (2016)(Impact factor:4.4). R. J. Immanuel, S. K. Panigrahi, Materials & Design (Elsevier), 101: 44-55 (2016)(Impact factor:4.4). F, Khan, S.K. Panigrahi, Materials Science and Engineering A (Elsevier), 675: 338-344 (2016)(Impact factor:3.1). S. Meenia, MD Khan, S. Babu, S.K. Panigrahi, G.D. Janakiram, Materials Characterization (Elsevier), 113: 134-143 (2016)(Impact factor:2.7). P.R. Guru, MD F. Khan, S.K. Panigrahi, G.D.J. Ram, Journal of Manufacturing Processes (Elsevier), 18: 67- 74 (2015)(Impact factor:2.4). A. Dhal, S. K. Panigrahi, M. S. Shunmugam, Journal of Alloys and Compounds (Elsevier), 649: 229-238 (2015)(Impact factor:3.2). R. J. Immanuel, S. K. Panigrahi, Materials Science and Engineering A (Elsevier), 640: 424-435 (2015)(Impact factor:3.1). G.R Argade, S.K. Panigrahi, R.S. Mishra, Corrosion Science (Elsevier), 58: 145-151 (2012)(Impact factor:5.3)( Top 25 most cited papers published in Corrosion Science (Elsevier publication, Science Direct) for 5 years ( 2012 to 2017)). W. Yuan, S.K. Panigrahi, JQ. Su, R.S. Mishra, Scripta Materialia (Elsevier), 65: 994-997 (2011)(Impact factor:3.7).